He ya what's going on? 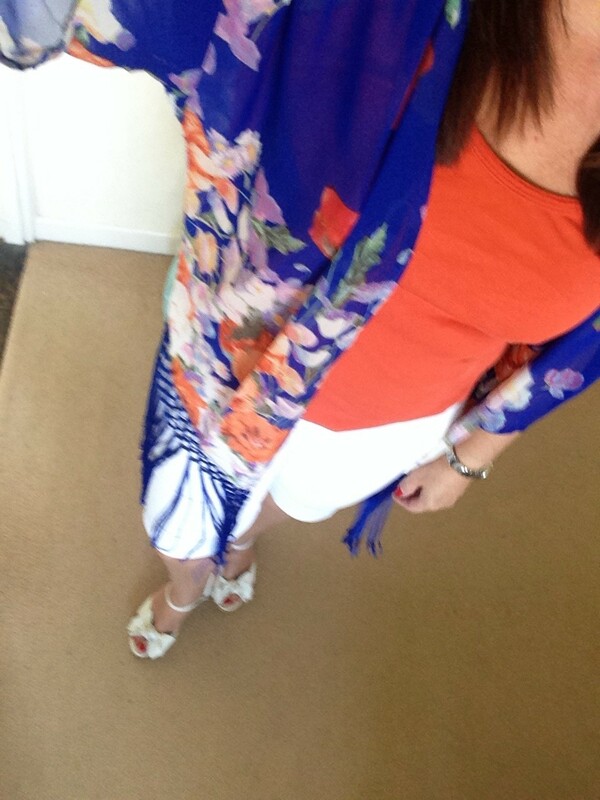 It's all about my kimono - read further for details. Seems I had such a hectic week and now time to chill - fabulous. Girls night out yesterday evening, actually not out out, just out! Dinner out at a friends house, plenty of bubbles, good company, a few laughs and a little Fondue! yes I did say Fondue. Have only sampled chocolate fondue in the past so to have both cheese with bread and crudities along with hot oil to cook strips of beef and tiny meatballs was super. A chocolate fondue followed with the token gesture of fruit to take care of my hmmm 'diet' lol! 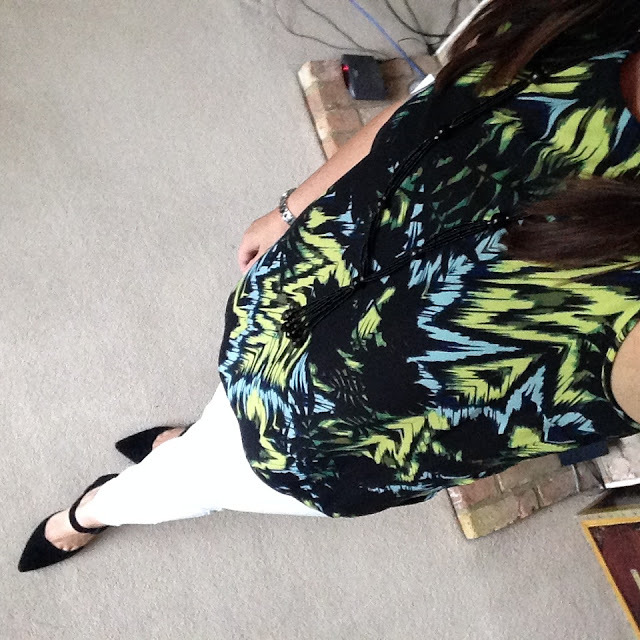 Here's last night's outfit. Matalan white skinny jeans, Clarks suede sandals, Matalan from the sale , this tunic top, love these colours together, but still going to try and match with either lime green or pale blue Capri style jeans/trousers, that's if I can find any ha ha! Home by midnight, so I was fine this morning. A little light shopping followed breakfast cooked by middle daughter, and then a quick visit to see my princess, with cuddles, chocolate kisses, sandpits and playing in the garden - what better way to spend the afternoon? Quiet night in this evening, hopefully with some sort of takeaway - heaven. What are you up to this evening? Please share, I'd love to hear. While looking through some of your lovely blogs I came across so many kimonos, so just had to dig mine out yesterday. I bought this one from TK Maxx about two years ago, worn a handful of times, but sometimes it just fits the bill. If I remember correctly it only cost just under £20, they are everywhere at the moment, being a fab accessory for daytime, nigh- time not forgetting beach time too. Have you got a Kimono and do you wear it often? Have you got a 1920's dress? Both would be great to see if you do.